On January 25th 2018, Grupa Azoty signed a long-term loan agreement with the European Investment Bank for up to EUR 145m, which will help it fund major capital investment projects and R&D activities. “ This new agreement with the European Investment Bank demonstrates our strong financial standing and is an expression of trust placed in our management team and strategy. As a leader of the Polish chemical industry, we have gained access to stable long-term finance on favourable terms. This is good news for the Group and Poland’s economy at large, showing that the national chemical champion is perceived as an important and reliable partner. The agreement will facilitate the financing of expansion and modernisation projects compliant with the BAT standards,” said Wojciech Wardacki, President of the Grupa Azoty Management Board. “Our agreements with the EIB form an integral part of Grupa Azoty’s long-term corporate financing package intended to fund our general corporate needs, including strategy implementation, CAPEX and R&D programmes,” he added. “In financing corporates, we focus on innovation, energy efficiency and environmentally-friendly processes and plants. This is the second loan the EIB has provided to Grupa Azoty over three years, which demonstrates our support for the Company’s plans and current strategy. In the future, we want to continue to assist Grupa Azoty along its growth path,” said Vazil Hudak, Vice President of the European Investment Bank (EIB). The key subsidiaries Grupa Azoty Puławy, Grupa Azoty Kędzierzyn and Grupa Azoty Police concurrently signed a new guarantee agreement with the EIB, in which each of them provided an up to EUR 58m guarantee for Grupa Azoty S.A.’s obligations under the new loan agreement with the EIB, in line with the existing corporate financing guarantee mechanism. The new agreement with the EIB was concluded for a period of up to ten years from the loan disbursement date, with repayments to start within three years from disbursement. The agreement stipulates an obligation to submit interim and final reports on project and R&D costs, etc. Its other terms do not differ from standard terms used in agreements of such type. Grupa Azoty S.A. and the EIB also signed an annex to the loan agreement of May 28th 2015 for up to PLN 550,000,000 in order to harmonise the material terms of both agreements, including key indicators adjusted to the Group’s Strategy and Long-Term Plan. In 2017, two large projects in Tarnów, Polyamide Plant II and Mechanical Granulation Plant II, co-financed by the EIB under the 2015 loan agreement were placed in operation. Grupa Azoty is pursuing three other projects co-financed by the bank under the same agreement, including the construction of a Fertilizer Mechanical Granulation Unit in Puławy. Under the new agreement, the EIB will continue to finance large investment projects of key importance to the Group, including the Upgrade of the Nitric Acid Plant in Puławy and the Plastics Compounding Plant in Tarnów. In 2018–2021, the bank will also provide financial support for R&D projects implemented by Grupa Azoty. 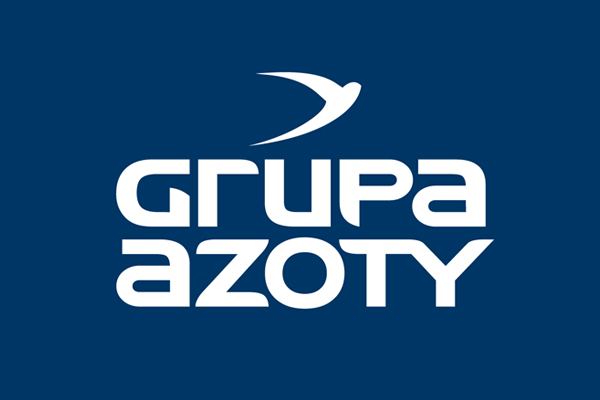 Grupa Azoty is Poland’s largest chemical group and one of the leading players on the European fertilizer and chemical markets. It is the European Union’s second largest manufacturer of nitrogen and compound fertilizers and the third largest manufacturer of PA6. Its other products, including melamine, caprolactam, oxo alcohols and titanium white, enjoy an equally strong standing in the chemical sector, with a wide range of applications across various industries. In May 2017, the Group unveiled its updated strategy until 2020. The key development areas include finalising the Group’s consolidation, reinforcing its leadership in agricultural solutions in Europe, strengthening the second operating pillar through expansion of the non-fertilizer business, and generating and implementing innovations to accelerate growth in the chemical sector. The European Investment Bank (EIB) is the European Union’s long-term lending institution, owned by EU Member States. The EIB provides long-term finance for reliably prepared investment projects, thus helping bring about the EU’s policy objectives.